The 4th annual Student Design Competition comes to a close today, May 11th, 2017 with an impressive group of entries from Conestoga College’s School of Interior Design on display during Connections Cafe this evening at the Pines in Cambridge, Ontario. Many thanks to Frank Voisin at Catalyst137, Kevin Klages and the iGuide development team at Planitar and especially Sarah Turner and her 3rd Year Students for working with us through unexpected hurdles to finish the race. We are incredibly fortunate to belong to such an innovative, supportive and resilient community. Shout out to this year’s sponsors of Connections Cafe for giving us the thumbs up. We wish you a rewarding and memorable experience and invite you to discover what inspires the Prime Minister of Canada and business leaders from around the globe to invest in Waterloo Region…and don’t forget to fill out a ballad for your favourite entry! CSC Grand Valley is committed to professional development in the AEC industry that builds confidence, invites collaboration and values relationship. This entry was posted in Community, Construction Specifications Canada, Courage & Collaboration, Uncategorized and tagged Catalyst 137, Conestoga College, connections cafe, Construction Specifications Canada, csc-gv, Frank Voisin, iGuide, Kevin Klages, Sarah Turner, student design competition. 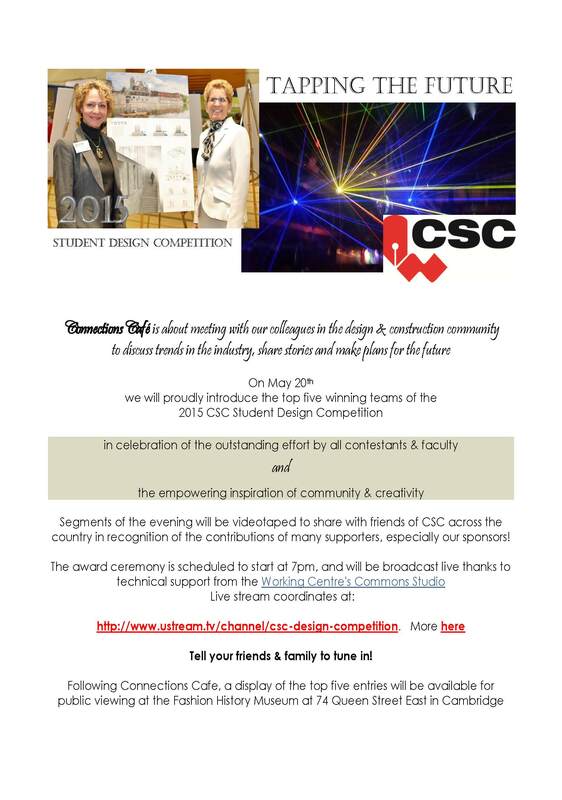 CSC Student Design Competition Co-Chair, Cathie Schneider is the Master of Ceremonies during the Awards Presentation May 19th, 2016 at Connections Cafe. This annual networking event for professionals in the Architecture, Engineering and Construction industries was held at THEMUSEUM in downtown Kitchener, a section of the former Goudies department store adjoining 8 Queen Street (subject building chosen for the competition). Conceptual drawings & floor plans from six winning student teams were exhibited for attendees to explore in a relaxed and informal setting in advance of the Awards Ceremony. This entry was posted in Community, Courage & Collaboration, Multi-Media Pre-Production and tagged 8Queen.com, connections cafe, CSC Toronto, csc-gv, design, Ryerson University, student competition, THEMUSEUM, Voisin Capital. 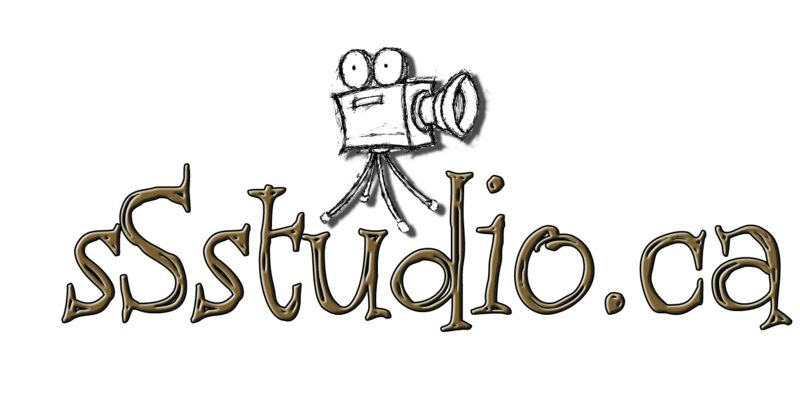 Segments of the evening will be videotaped to share with friends of CSC across the country in recognition of the contributions of many supporters, especially our sponsors! Tune in on May 20th! This entry was posted in Multi-Media Pre-Production, Thanks for Asking! and tagged architecture, connections cafe, csc-gv, FHM, hespeler village, interior design, student competition.